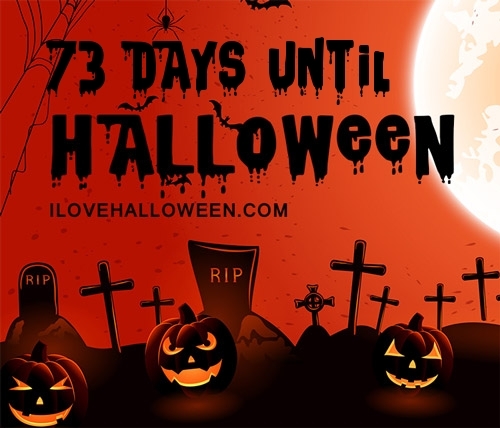 No matter which state you reside in, the Halloween Season is an endless celebration that takes place all Fall long. From Haunted Houses, Spook Walks, Haunted Hayrides, Haunted Corn Mazes and other scary-good attractions, there’s enough of frightening fun to keep the bravest of thrill seekers busy all throughout the season. 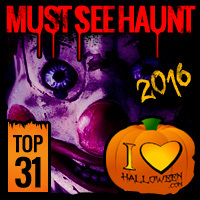 Check out ILoveHalloween.com’s Must See 2016 Haunted Attractions below, and get your Haunting Bucket List ready for this year. 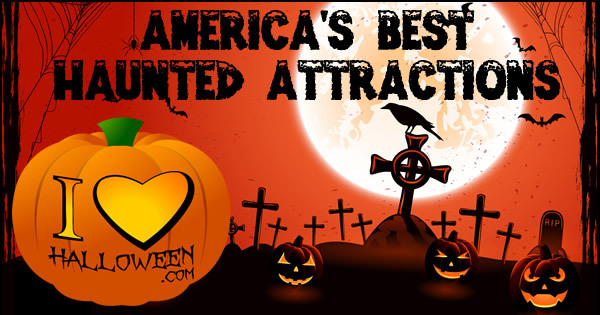 And if one of the below attractions isn’t in your state – it’s well worth a road trip to satisfy your hunger for horror! Located on Brighton Boulevard, Denver’s 13th Floor Haunted House is where your very worst nightmares are transformed into a horrifying reality. In 2016, 13th Floor Denver featured three Haunted Attractions at one great location, including ‘Slasher Remix,’ ‘Undead: Abominations,’ and Cursed: The Ritual.” For thrill seekers brave enough to take on all three attractions, they were immersed into terrifying settings where tons of twisted characters waited for them. This intense haunted attraction is not for the faint of the heart, and is not recommended for children under the age of 12. Aurora’s Basement of the Dead Haunted House will truly terrify even the most brave of thrill seekers. Legend says that the Basement is home to Shattered, the smashing clown, who took refuge there in the old Walker Laundry building. Sewer lines and tunnels were located under West New York Street and were well known to maintenance engineer Imus Kilya and his Al who worked as his assistant at the laundry company. A boiler explosion scaled both Al and Imus, and they never returned to work again. Ever since, people from the company started to vanish and body parts were found in the river near the drainage pipes. Al and Imus may have been to blame, as they wanted revenge after the explosion, but they were never found. Do you have what it takes to come face to face with Shattered the Clown, and the rest of the creatures that lurk throughout the Basement? Tulsa’s Hex House features two extreme haunted attractions at one location on West Skelly Drive. There’s The Hex House and West Side Grim, an intense multi-element, walk-through attraction that is designed around a dark chapter in Tulsa’s haunted past and is inspired by a true story that locals may have heard of. Be prepared as Hex House will completely take you out of your comfort zone! The Scream Zone in Del Mar offers a number of haunted attractions for thrill seekers to take on, including the House of Horror, the dizzying KarnEvil, and the Haunted Hayride. New for the 2016 Halloween Season was Zombie Boot Camp, where visitors learned how to survive a Zombie Apocalypse by participating in a rough, but basic, training course. Do you have what it takes to brave The Scream Zone? Lockport’s Statesville Haunted Prison is where the guards have fled, and prisoners have rioted, taking over the maximum security prison. Visitors will be “processed” and then forced to venture through 23 security cells, coming face to face with over 100 criminals that were too evil to die. After journeying through the prison’s walls, thrill seekers descend into the burial pit of City of the Dead. Made up of caves and mine shafts, you’ll meet the Gatekeeper who has risen from the dead and the zombies that are on the march! Located just minutes from Indianapolis, Indy Screampark boasts six insane attractions in one, plus a Monster Midway complete with food, drinks, games and more. Rage 3D brings a dizzying assault on your senses and Pandemic, an interactive attraction, gives visitors a truly immersive experience where they can be grabbed, held back, sent into hidden rooms, or removed from their group! Then there’s Zombieland Apocalypse, Brickmore Asylum and Back Woods. Choose wisely. Or brave them all – if you dare! This dark haunted attraction is located in a 100-year-old abandoned meat packing plant that is situated in Fort Worth’s “Hell’s Half Acre.” The intense, multi-story haunt just recently celebrated its new Guinness World Record, proving that the rumors are true and that it is truly one of the scariest in the nation! Freakling Bros. was established in 1976 and has ever since been terrifying all those who are brave enough to enter. With a crew that concentrates on primal fears, this R-Rated attraction offers ‘The Gates of Hell,’ an experiment in interactive horror, and ‘The Coven of 13,’ a horror show that pushes the boundaries of complete immersion, based around a classic theme of witches, warlocks and black magic! San Leandro’s Fear Overload Scream Park has been featured on ABC, CBS, FOX and also in Forbes, and offers two terrifying haunted attractions and live entertainment throughout the Halloween Season. The scream park is for mature audiences only, as it will put each and every one of your senses to the test! Located in a 40,000 square foot facility, Bennett’s Curse has plenty of space to give haunt-goers the scares they’re in search of during the Halloween Season. The haunt features four haunted houses, including Medieval Underworld, Inferno 3D, Sanctuary of Insanity and Legends of Halloween, which was brand new for the 2016 Halloween Season. Easily accessible to those in Washington DC, Delaware, Virginia and Pennsylvania, Bennett’s Curse is surely worth the trip! Woods of Terror on Church Street in Greensboro offers a number of haunted attractions, created to test your very worst fears. Attractions include Night Stalkers, where creepy creatures are harvesting their favorite food – humans, The Third Dimension, a wild ride through an all new dimension of horror, The Blood House, where beautiful, but thirsty, vampires reside. Then there’s The Awakening, an old graveyard full of restless spirits, Horrorwood Cinema, an abandoned theater full of your favorite horror movie icons, Blackbeard’s Revenge, where visitors will come face to face with Blackbeard himself and his pirate crew. And The Gold Mine, where money truly is the root of all evil. This haunted attraction is proud to be famous for thousands of visitors who “chicken out.” Nightmares Fear Factory is located at the top of Clifton Hill and boasts an intense journey through terrifying themes. According to the website’s “Survivor Stories,” one haunt-goer wrote, “It plays on your psyche and creates an atmosphere of absolute dread and suspense.” All of your worst fears in one location, would you be able to make it out? Or will you join list of thousands who couldn’t make it through? With three locations in Oklahoma, including Lawton, Noble and Luther, Trail of Fear Haunted Scream Park is a Halloween destination like no other. Started in 1998 as a single attraction with a small tent and outdoor maze, Trail of Fear has transformed into a super haunt over the years, delivering tons of terror to Oklahoma locals. Attractions include The Experiment, Cirque de Morte, The Magical Work of Ron Wilson and family friendly fun including Pumpkin Junction, trick or treating, a Halloween train ride, Halloween stories, Paintball Target Range, Ghost Cart Racing and much, much more! Located at the Eastern State Penitentiary, Terror Behind the Walls features six horrifying attractions that are inside actual cell-blocks of a real abandoned prison! Once haunt-goers enter, they’ll be faced with the critical decision of exploring the prison and watching the action take place, or be one to take part in all the scary-good fun. The six attractions include Machine Shop, Breakout, Quarantine 4D, Lock Down, Infirmary and Detritus. One of the most well known haunted attractions in the Northeast, Spooky World has been delivering terror for over 20 years. With all that haunting experience, it’s no surprise that the crew sure knows how to terrorize! Attractions include the Haunted Hayride, Brigham Manor, Festival of Fear 3D, Carnage and The Colony. Located at the South Florida Fairgrounds in West Palm Beach, Fright Nights features four unique haunted attractions, eerie special effects, terrifying live actors and creepy monsters straight out of your worst nightmares. Attractions include the Sunnyville Schoolhouse, Doll Factory, The Void, Pestilence and new for 2017 will be two horror-themed escape rooms for those interested in taking on a scary-good challenge! Austin’s House of Torment offers 40,000 square feet of frightening fun, and three haunted houses, including Dawn of Evil, The Frenzy and Graveside Manor. Each attractions takes visitors on a terrifying journey that is sure to test their fears, and make them feel as though their nightmares have come to life! With six terrifying haunted attractions at one great location, Dade City’s Scream-A-Geddon Horror Park is an experience like no other. The scream park was a Nominee for the Top 10 Rated Attraction on FloridaHauntedHouses.com in 2015 and gives visitors the hair raising entertainment they seek during the Halloween Season. Attractions include the Blackpool Prison, Cursed Hayride, Deadwoods, Infected, Bedlam 3D and the Monster Midway where an array of seasonal fun takes place. One of Arizona’s longest running haunted houses, The Crypt Haunted Attractions is located in the Fiesta Mall parking lot on W. Southern Ave. and features three haunted attractions at one scary-good location: The Asylum, Chaos Maze and The Crypt. Sure to get your adrenaline going, this Mesa attraction is a Halloween Season must see! Fright Haven is an indoor attraction that boasts 20,000 square feet and offers a number of attractions, including Dead End Manor, a Victorian-style mansion infested with cannibalistic vampires who are thirsty for blood, The Frightmare Fear Institute: Achluophobia, a pitch black haunt that takes being afraid of the dark to a whole new level, and Carnival of Evil, a 3D tribute of terror to Savin Rock Park, Palisades Park, Freedomland, Paragon Park, what’s left of Coney Island, and all the amusement parks torn down over the years! More Winner & Nominee Badges Coming Soon. Other ILoveHalloween.com Linking Options are here. Which Haunted Attraction did you visit during the 2016 Halloween Season that was your favorite?